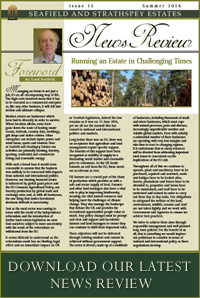 Those who own land have a responsibility to manage that land in the best way possible, by delivering social and public benefits to the local community – jobs, housing, recreation, amenities, and health and safety – as well as a duty to conserving the environment and wildlife for future generations. 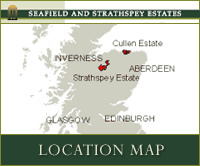 In addition to carrying out the businesses of farming, forestry, fishing and field sports, Seafield and Strathspey Estates are committed to putting something back into society, whether that is improving the habitat, educating schoolchildren about rural business, making land available for important development or striving for sustainable, cleaner energy solutions. 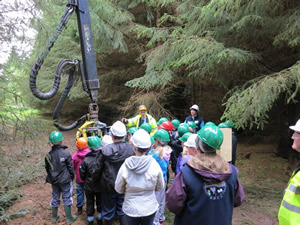 Their proactive approach to addressing these issues means that Seafield and Strathspey Estates have an exemplary record of instigating award-winning initiatives and working with others on numerous environmental projects designed to benefit the local community or society at large. The following lists some of the activities which have been carried out over the last ten years. Talks to tenants - on factors which impact on agriculture. 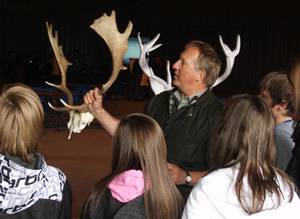 School open days – for primary and secondary schoolchildren – educating them in the important economic, conservation and social responsibilities of running an estate. Our News Review lets those who live and work on the Estates, and those who come into contact with staff and management on a regular basis, know more about what we are doing and the community projects in which we are involved. Click here to view the latest edition of News Review.